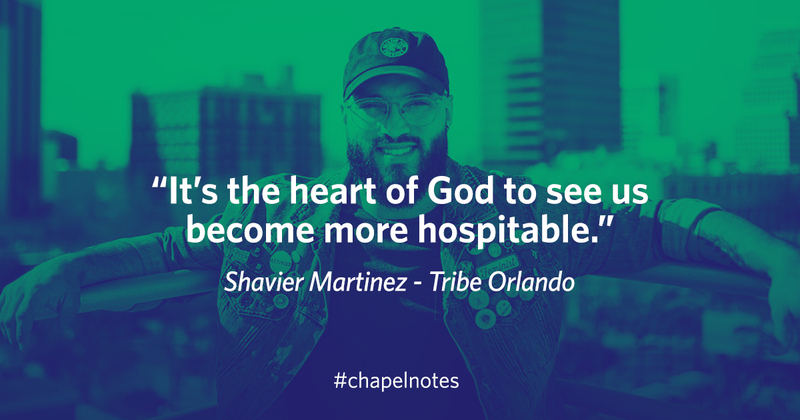 Shavier Martinez, pastor of Tribe Orlando in Orlando, Florida, has spent his entire life in the area so many know for the theme parks and tourists attractions strewn throughout it. Although few organizations are better known for hospitality like Disney, Martinez said their model for hospitality isn’t one Christians should follow. In his sermon to University Chapel on Wednesday, March 7, Martinez painted a picture of what he believes is a more Biblical model of hospitality. Too often Christians approach hospitality simply as an act, something to “be good at.” While such an approach is completely acceptable for businesses, for Christians, the virtue must become integral to their character; it must become a piece of their identity. As a youth, Martinez witnessed this virtue in his mother. Despite his family’s financial difficulties, Martinez said his mother ensured guests she welcomed into their home were fed and cared for. His home became a sort of community hub; his mother steadfastly embraced her guests with warmth and kindness. Hospitality — when it’s ingrained into a “Christian’s DNA” — mandates they not only honor and acknowledge someone as inherently valued, but treat them fittingly, as King David did. Martinez pointed to a picture of this hospitable love in 2 Samuel 9. The chapter recounts King David’s reconciliation of Mephibosheth — King Saul’s crippled grandson. “Hospitality says, ‘I have to go as far as humanly possible; I have to go as far as I can extend myself in order to make sure that I show you God’s kindness,’” Martinez said. Although some considered Mephibosheth a political threat and possible claimant to David’s throne, David treated him as family, as a beloved child of God, and welcomed him to dine as an honored guest at his own royal table.